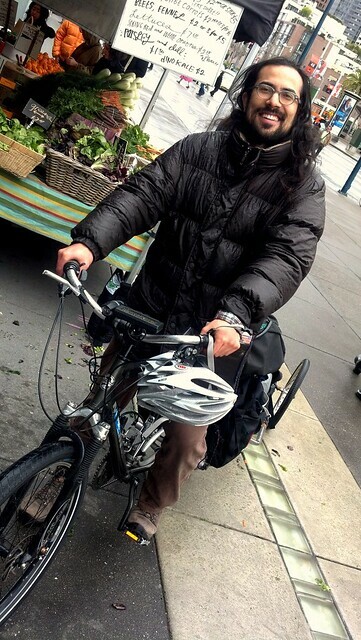 I recently ran into Gabe, the bandleader of Shake Your Peace - SF's original bicycle-powered music group - at the Ferry Building Farmers Market on his Xtra-cycle. He reminded me that his band is teaming up with Rupa & the April Fishes at the end of April for a Bay Area bicycle music tour, called the Bay Rising Tour. 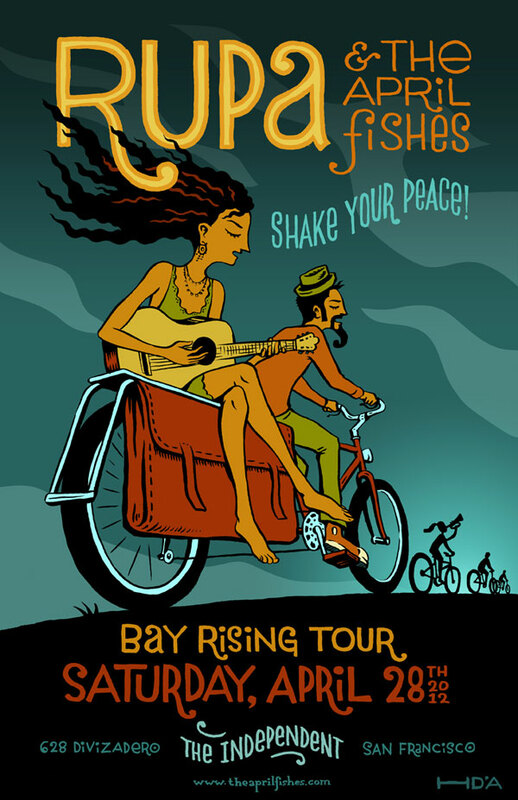 In celebration of Earth Week 2012, San Francisco's global mashup band Rupa & the April Fishes and local bicycle music touring veterans SHAKE YOUR PEACE! will present the Bay Rising Tour - pedaling their bicycles 200 miles around the entire perimeter of the San Francisco Bay, presenting concerts with a bicycle-powered sound system that converts the leg-power of volunteer pedalers from the audience into electricity to run the sound system. The purpose of the tour is to give both of the bands, and those who join them on their rides between show stops, an opportunity to learn about the dynamics of the San Francisco Bay Bioregion in an adventurous, sociable, and direct way. The tour is inviting cyclists of all skill levels to join the bike rides between the tour stops; and because each of the band members will be hauling up to 100 lbs of musical equipment behind them on bike trailers, no one is likely to be left behind. The 10-stop tour will include performances in traditional music venues and guerilla art spaces. So basically, PUT IT ON YOUR CALENDAR.